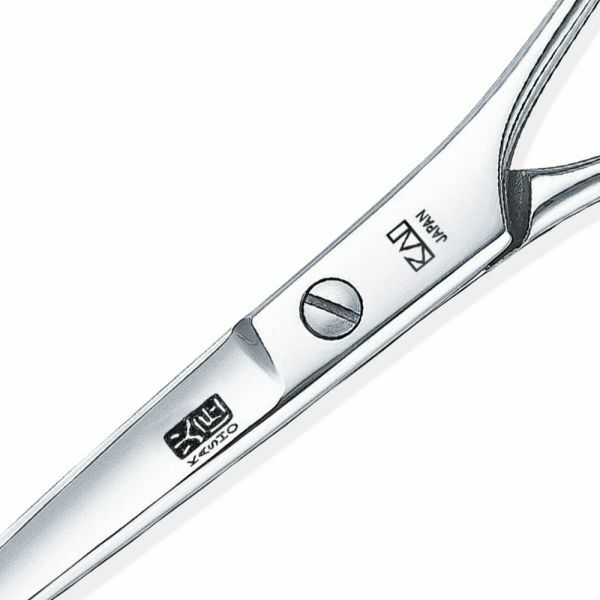 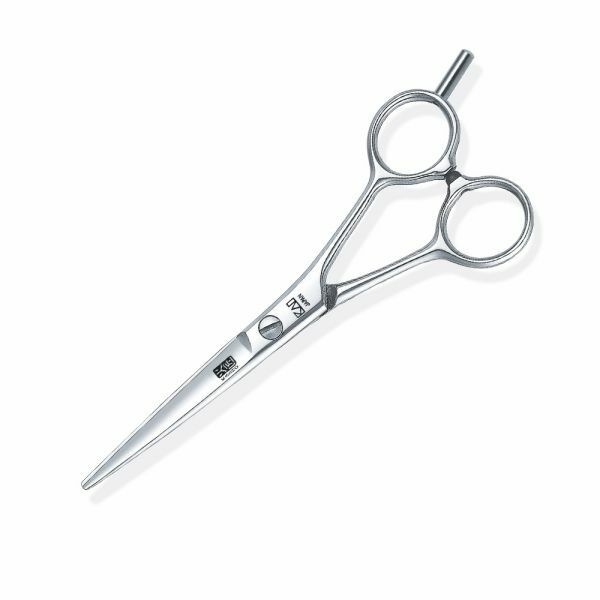 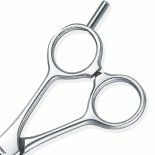 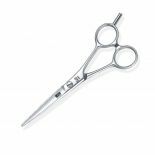 The KASHO Blue Series epitomises all the advantages of Japanese scissors, but is fitted with the flat head screw system. 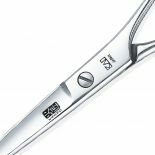 A slight split of the score holds the score thread firmly against the lower blade, allowing the tension of the screw to be finely adjusted. 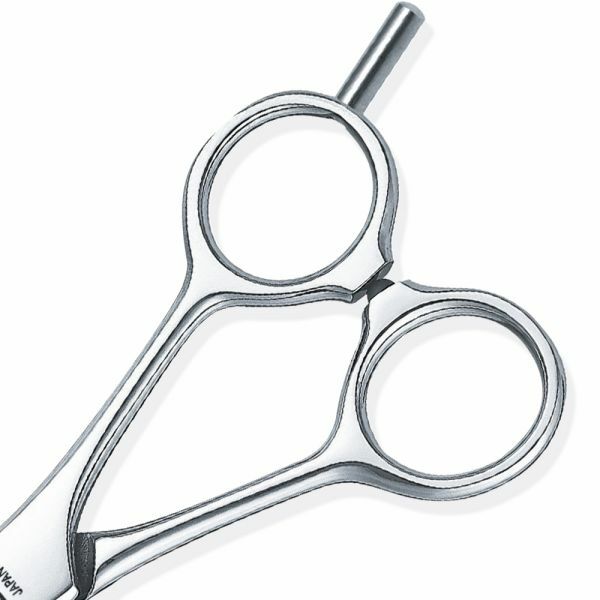 the Blue Series are available as a straight or ergonomically designed offset model. 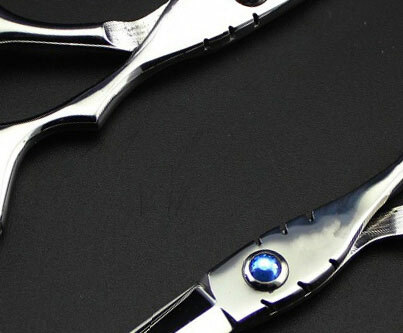 The convex blades are mirror polished.